Forward-thinking nurse practitioner leaders founded the New Mexico Nurse Practitioner Council in 1977. In 1997, the group incorporated as a non-profit 501(c)(6) organization. 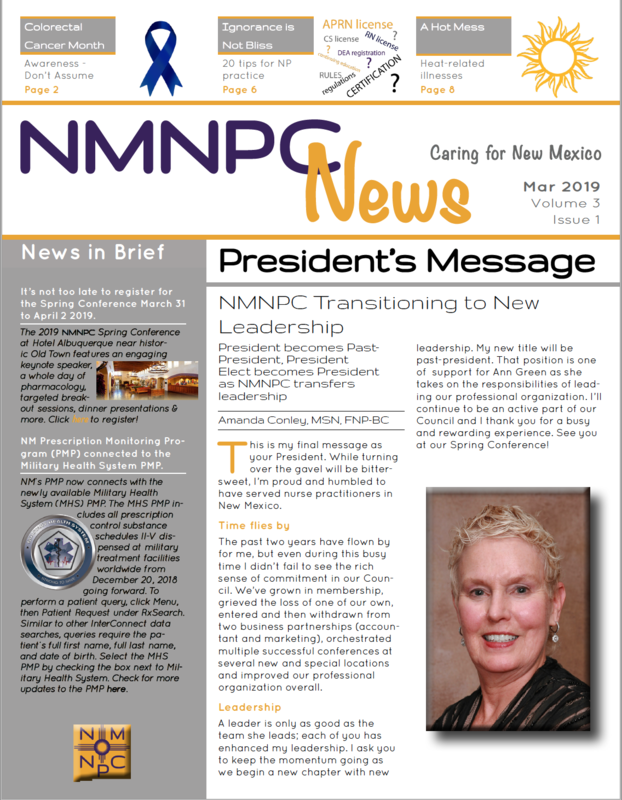 The early leaders founded NMNPC to serve the professional interests of nurse practitioners throughout New Mexico and NMNPC remains the only state-wide organization of nurse practitioners in New Mexico and works to meet the needs of members and non-members across the state. For more information about our organization use the links on the right. NMNPC seeks to unite New Mexico's nurse practitioners in an organization dedicated to promoting excellence in practice and optimal patient care. We strive to be informed and effective in our efforts to protect and promote nurse practitioners' professional interests and to provide strong patient advocacy. Promote communication with members and non-members through our web site, newsletter and forums. Provide member and non-member outreach throughout the state. Provide information about nurse practitioners to the public, legislators, health insurance entities, and other interested parties. Be the united voice of nurse practitioners in New Mexico, working to resolve issues relevant to our practice. Interact with the New Mexico Board of Nursing (BON) and the BON Advanced Practice Committee on issues relevant to our patients' best interests. 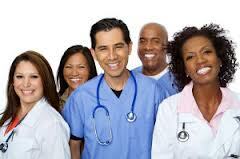 Support group membership in the American Association of Nurse Practitioners (AANP). Maintain a strong lobbying presence to monitor regulatory and legislative changes that may affect the practice environment of New Mexico's nurse practitioners or our patients' ability to access and receive optimal health care. Our lobbyist's efforts benefit all nurse practitioners in New Mexico. To learn more about recent accomplishments, go to the Legislation & Policy page. Provide timely communication to our members on legislative issues that may require group action. Educate legislators about nursing issues and nurse practitioners. Support scholarships for registered nurses in nurse practitioner degree programs. Promote educational offerings for nurse practitioners throughout the state. Provide an annual conference to meet the continuing education needs of nurse practitioners. Encourage member participation in NMNPC activities. Encourage non-member nurse practitioners to join NMNPC and support our mission and goals. Do you wonder what kind of education and training nurse practitioners have? Or what exactly nurse practitioners do? Find out here. For more information about our organizational structure, see the Bylaws.